The TTABlog®: TTABlog Comment: Why File a Section 15 Declaration? TTABlog Comment: Why File a Section 15 Declaration? While at INTA in Toronto, I attended the session on U.S and Canadian oppositions. As usual, I couldn't resist putting in my two cents during the question period. One issue that came up concerned incontestability and its role in TTAB proceedings. I opined that incontestability is relevant only in civil actions, not in Board proceedings. Section 14 of the Lanham Act provides a "statute of limitations" that precludes challenges to a registration on the Principal Register after its fifth anniversary, except on certain grounds, regardless of whether a Section 15 declaration has been filed. (See TBMP Section 307.02(b) and cases cited therein). So why file? The recent 1st Circuit decision in Borinquen Biscuit Corp. v. M.V. Trading Corp., 78 USPQ2d 1454 (1st Cir. 2006), illustrates the importance of the Section 15 filing. 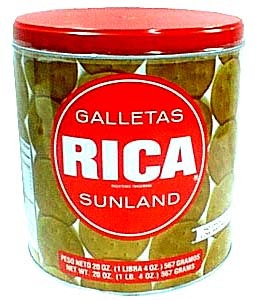 The appellate court affirmed the grant of a preliminary injunction in a case involving galletas (cookies, more or less) sold in Puerto Rico under the federally-registered trademark RICA. "The effect of that presumption depends on whether the registered mark has attained incontestable status. If the registered mark has become incontestable through the owner's compliance with the applicable statutory formalities, the presumption is conclusive. 15 U.S.C. Sec. 1115(b). If, however, the registered mark remains contestable, the putative infringer may defend a suit on the ground that the mark does not merit protection because it is not inherently distinctive ... but, rather, is merely descriptive of the product." For a contestable mark, registration shifts the burden of proof from the plaintiff to the defendant, "who must introduce sufficient evidence to rebut the presumption of the plaintiff's right to exclusive use" through proof that the mark is merely descriptive. If the defendant succeeds, the plaintiff "must take an alternative route and assume the devoir of persuasion on the issue of whether its mark has acquired secondary meaning." Defendant M.V. Trading failed to overcome the presumption of distinctiveness. But had Plaintiff Borinquen filed its Section 15 declaration seasonably, the issue of distinctiveness could not have been raised. TTABlog note: Although the ground of likelihood of confusion is unavailable as a basis for cancelling a registration after its fifth anniversary, partial cancellation under Section 18 is permitted for purposes of restricting the goods or services in order to avoid a likelihood of confusion. See TBMP Sec. 307.02(a).